Last night I was watching mixed doubles curling (semifinals - Canada vs. Norway) and was way more interested than I expected to be! This new event is a lot of fun to watch. I found it more entertaining than the usual curling events I've watched in the past. I'm debating how early I want to get up tomorrow morning to watch the gold medal match of Canada vs. Switzerland. The time zone issue could be worse, but it could also be a little better. I like that there are evening events to watch live, but the early morning stuff is really early. There are some things that I don't mind just watching highlight clips from, but it's always more fun to watch live and cheer without knowing the results. A scary crash caused a delay in the super combined. Fortunately the guy seemed to be okay, it looked bad. Went into the fence hard and got really tangled. Chloe Kim didn't need best of three runs in the women's halfpipe final, she locked up the gold on her first one! Her performance definitely lived up to the hype. No one ever caught her score of 93.75, making her last run just a victory lap, but instead of just coasting down she went all out and actually bested her winning run with a 98.25! The men's halfpipe qualifier was absolutely insane! Usually you see dialed back runs, since all they have to do is make the final cut, but for whatever reason these guys were going all out! Ben Ferguson put down a 91 which made the announcers go crazy, but that was just the start of the craziness. Shaun White got 93.25 and they were like that's ridiculous, you don't do that in qualifying, he'll finish #1. But then there was a 95.25 and 96.75 from Japan and Australia to actually slide him to third. These were coming off scores off 87.5 and 89 in the first run, so they didn't have to go that big, but they wanted to make a statement going into the final. Shaun could have accepted third, well safe to qualify, but he wanted to be #1 so he would go last in the final, knowing exactly what score he will need, so he went even bigger for his second run and scored 98.5! The announcers were losing it, they could not believe what they were seeing! The fiercest competition just for a qualifying round maybe ever; the final is going to be must watch! The time zone issue could be worse, but it could also be a little better. I like that there are evening events to watch live, but the early morning stuff is really early. I bit the bullet and got up super early this morning to watch Canada win the first ever gold in mixed doubles curling, and it was totally doable and worth it, so I shouldn't complain too much! It was early but not unbearably early....every once in a while. I should try to remember to stop by the chat one evening. If I'm watching something I really care about, I usually don't have a computer screen in front of me because I want to focus, but there are always moments where there's less interesting ( to me) stuff going on. Watching Shaun White's snowboarding half pipe runs were crazy! I've been mostly watching pairs skating tonight (which has been very good, with some top ranked teams still to go), but I was flipping back and forth to snowboarding and made sure that I watched the top ranked guys. It's so insane what those guys can do! I was watching live and very worried about the Japanese boarder who went down hard. It seemed to take forever for them to get medical staff to him. It seemed like that should have happened faster, though maybe that's really as quickly as they can make it to somebody. I am pleased to report that nothing looks good to enough for me to get up early for tomorrow morning. We've been in there during figure skating mostly so far and we mainly commented between routines on how the skaters did and react to the scores. You don't have to have ongoing chat while watching the action. it looks like I missed the chat party tonight because I'm the only one on, but the pairs skating is also over. I couldn't tear myself away! What an exciting final flight! I was so sure that Meagan Duhamel and Eric Radford, the top Canadian team, would end up in fourth after they had a great skate but still (deservedly) ended up in second place with two teams left, but the Russians were kind enough to make enough mistakes to bump themselves down and get Canada bronze! Woohoo! There were some beautiful performances, and it was so moving to watch the German team win after the lady had won bronze in two previous Olympics with her previous partner and now finally got her gold medal! Her joy was contagious! (Except for to the Chinese team.) The silver medalists were good sports, but to miss gold by a few tenths of a point has to hurt, and to me the Chinese lady looked like she wanted to go find some place quiet to cry her eyes out. Not that I blame her, and she showed good sportsmanship. I felt really bad for her. Figure skating is a roller coaster of emotion, that's for sure! Two goals in six seconds by USA's Jocelyn Lamoureux-Davidson Fastest pair of goals by a single player in Olympic hockey history! Bad fall in the halfpipe, the guy had to be stretchered out. The final picked up right where the qualifier left off, these guys were really going at it! The podium positions were traded around through the first two runs, eventually the medals were set going into the last three snowboarders but who would get what depended on the final run of each. The first two didn't change the standings so it all came down to Shaun White, sitting in second. This was why he went so huge in qualifying, to have the final run of the night knowing exactly what he needed. And he got it!! First winter Olympian to win gold medals twelve years apart. What an incredible two nights of competition! Mikaela Shiffrin still waiting to make her much anticipated appearance after high winds postponed the giant slalom a few days ago, so she was going to instead start with the slalom today, but wind has now postponed that as well. There have been a lot of events postponed due to the wind! I know that they can't control the weather, but it sure must be tough to get to the event and then wait and then have to leave and wait another day or more to compete. I was busy today and haven't really had time to watch. I'm going to watch highlights tomorrow to catch up, plus read bookworm's highlights, of course! One of the snowboarders yesterday broke his neck! Somehow, thank goodness, he's expected to be okay. Very cool that South Korea won their first skeleton medal. And cool Iron Man helmet. Snowboard cross is just the best! It's so exciting! I can remember watching the very first time it was in the Olympics, in Turin 2006, and thinking it was crazy, and awesome. Ever since then that and short track speed skating have been my favorite events. Vincent Zhou lands the first quad lutz in Olympic competition! There's often a few stuffed animals thrown into the ice after a skate, but I've never seen anything like what happened after Yuzuru Hanyu's routine. Never for figure skating. It looked like a teddy bear night at a hockey game! Nathan Chen was looking for redemption after that disappointing start but had another disastrous skate; even worse than before. I don't know if it's just first Olympics nerves or what but this is absolutely shocking. Mikaela Shiffrin finally in action yesterday and started things off by winning the giant slalom gold! She was looking to follow it up with another tonight as slalom is her specialty, but shockingly she didn't even make the podium. Her first run wasn't up to her usual skill, possibly due to being sick right before going down. It may have been nerves, she thought it was illness, but either way you have to wonder if things would have been different if the events had begun days ago like they were supposed to instead of having to go back to back like this. The saga of Lindsey Jacobellis continues. If you're too young to remember the 2006 Games, or weren't paying attention back then, her legacy is being responsible for one of the most infamous and incredible incidents in snowboard cross. 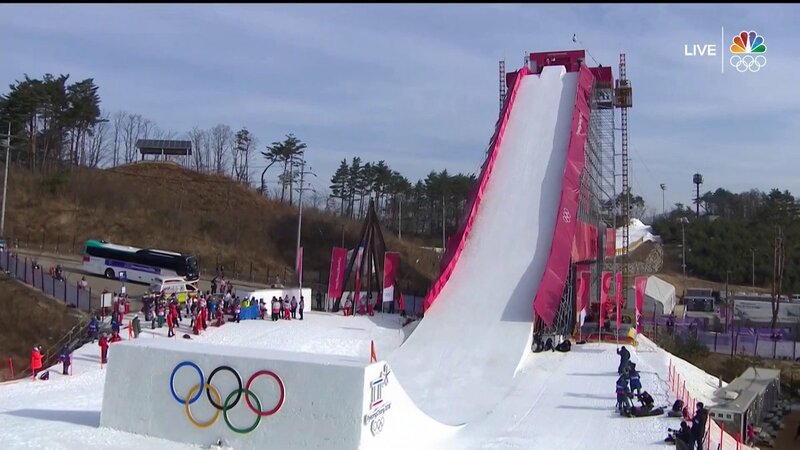 She had pulled out to a huge lead in the final, no one else in sight just cruising to the gold, but decided to show off by doing a trick going over the second to last jump, fell, and got passed to only win silver. It was such an unbelievable moment. I've said before in one of these threads that I have that call forever engrained in my memory. I will never forget that incredulous "she went down on a showboat trick!" In Olympics since then that moment seemed to haunt her. It was like that was her chance and since she blew it she wasn't allowed to have another one. She went off course early in the 2010 semifinal, and unexpectedly crashed while leading the 2014 semifinal. It looked like this could finally be her redemption; she finally made it back to the final, was in medal position of some color almost all the way along, but dropped to fourth at the last moment. Four 100ths of a second off the podium. I didn't remember offhand, but once you described the incident, I remembered it. It's probably more memorable for Americans than Canadians, Losing gold like that, and then missing another medal by the slimmest of margins, must be really difficult. I always think that when I watch sports measured in tenths, hundredths, or even thousandths of a second/points - how terrible to look at your score and know that the tiniest of things would have changed your life. I guess you can't think like that or you would never do anything, but I always feel really badly for athletes who are sooo close. Nathan Chen gets his redemption, in ground breaking, record setting fashion! He doesn't just finally put together a clean skate, or even a great skate, it was historic! Six quads! First time ever in Olympic competition! No one else had ever even done five! 215 points! Fifth highest free skate score ever! He led into the final group, but couldn't hold onto a medal in the end because of the low short program score. A great comeback from that terrible start though, I'm really happy for him. Lindsey Vonn finally in action after her event was also postponed. They only got one run, and no practices. I don't know if that's how it usually is in that sport or if it was a result of the weather related changes, but it seems really unfair. She had to go very first too, so having no reference on the course details she made a small mistake at the very end that took her out of medal contention because while it only added part of a second, everyone else saw that and then knew to avoid it. I can't believe they weren't allowed to practice in a single run final. I missed noting this the other day, but Savchenko and Massot earned the highest score ever recorded in pairs free skate to unexpectedly win gold. Pretty great moment. Shocker in the Super-G! NBC signed off their coverage there for the night to get back to figure skating declaring Anna Veith the winner since even though there were a few skiers left they weren't expected to challenge. But a little later they had to come back on because Ester Ledecka, a snowboarder, actually took over the lead by one 100th of a second! And she would stay there to win the gold! No one could believe it, not even her! The look on her face when she saw she was in first was so great! Yuzuru Hanyu becomes the first repeat men's figure skating gold medalist in 66 years! Also Japan going one and two is the first men's event in 16 years where two from the same country have medalled. I got up early this morning (well, early considering it's a holiday) to watch the fourth and final run in two-man bobsleigh, and it was totally worth it, with Canada winning gold! We get to share gold with Germany, which is totally fine with me! It's crazy that after 4 runs, in a sport that goes to the hundredths of a second, there still managed to be a tie, and that this was the second time this happened to Canada! I totally remember tying with France in 1998. What can I say? We're just good at sharing. The ice dancing short programs had some great performances. Obviously I'm happy to see Canada at the top of the list, but there's only 1.5ish points between first and second, and there's only 3.5ish points or so between third and eighth place, and I think the finals will be very exciting tonight! Let's talk about curling. An inevitable subject at least once during a Winter Games. It's the cliche punchline of winter sports, and there's endless debate about whether it deserves that reputation or not. People generally stand on one of two extremes, either believing it's a complete joke that shouldn't exist even as a concept, or insisting that people who don't like it just don't get it and it is definitely a prestigious sport. You don't often see someone express a position in the middle, but I did the other day. They likened curling to bowling. Having valid merits as a sport of sorts, but questioning whether it was really Olympic calibur or should just be a localized league type of thing. This position makes good sense to me, and I think it's probably the most accurate view to have because neither saying it shouldn't be an activity anyone ever participates in nor claiming it's the pinnacle of sport are likely reasonable. I admittedly don't know a ton about curling, but I more or less understand the goal and I know in general how the goal is achieved, though not the details and intricacies. I haven't ever actually seen a match, but I do want to. From my current understanding I would side with the previously expressed middle ground. I don't have any issue with curling as a sport, but I do somewhat question the legitimacy of it being an Olympic sport. I'm hoping someone, probably Catspaw, can help me either affirm this is a reasonable stance to take or open my eyes to something that would tip me one way or the other. Isn't one of the tactics for attempting to draw new people to curling promoting the idea that anyone could do it once they learn how? If that's true it's a good way to increase interest, but actually hurts its case for being Olympic worthy. To compete at the Olympics you're supposed to have to be the best in the world. If there's something that I could pick up as a hobby and with reasonable but not extraordinary effort and practice get pretty skilled at, it probably shouldn't be an Olympic event. In my current mindset I think of it like table tennis. I enjoy watching it played at high levels, and I'm totally in favor of having world championships, but Olympic table tennis seems like a stretch to me. To compete at the Olympics you're supposed to have to be the best in the world. If there's something that I could pick up as a hobby and with reasonable but not extraordinary effort and practice get pretty skilled at, it probably shouldn't be an Olympic event. In my current mindset I think of it like table tennis. I enjoy watching it played at high levels, and I'm totally in favor of having world championships, but Olympic table tennis seems like a stretch to me. This is an interesting concept that I didn't really think of. Curling kind of, sort of reminds me of Pétanque, (I had to copy and paste that cause I couldn't remember what it was called) the French game where you toss steel balls as close as you possibly can to a wooden ball, while standing in a marked area. It probably isn't very hard to compete at this, once you've got a little practice under your belt, to calculate how far you need to roll the ball. Something like Figure Skating or Ski Jumping takes consistent and grueling practice sessions, and athletes usually have been training for years. I don't really know too much about curling either, although, it looks like it requires some balance. It looks neat, but also, vastly different from other sports. I don't mean this to sound rude or snarky when I say I wonder how much is invested into watching curling, or how many do it on a professional level. It's super fun hanging out in #Olympics! I hope to be there tonight. I'm not a huge curling fan, but the more that I watch, the more that I appreciate the intricacies of the sport. I think the jokes about curling being the only Olympic sport where you can have a beer and cigarette between ends should be in the past! Somebody could play at an intro level and have fun curling quite quickly, but the same could be said for skiing or snowboarding. It's the intricacies and strategy that only come with a lot of practice that make it special at the Olympic level. I would suggest watching an entire curling match during the Olympics with good commentators explaining the strategy, and listen to the curlers talk about their intentions as they plan their shots. The shots that great curlers can make are really amazing! I have been impressed often how they can throw just the right weight and get just the right curl on the stone to bump other stones just right to move things into the perfect position. You can't do stuff like that right after you pick up the sport. To me, that's what makes it as worthy of being in the Olympics as other sports. If Chess is an Olympic event (which it is during the Summer Olympics, it's just rarely televised), I'd say Curling has more than earned a spot. It's a game of intense strategy, precision, adaptability, and teamwork. Sure, it's kind of boring to watch if you don't really know what's happening, but so is Chess. And you mentioned Bowling... Bowling takes practice, but once one has mastered the art of how to put the ball exactly where you want it in order to knock down the pins that you want, it's fairly static. Curling is played with two teams, each trying to best the other, so the positioning of the stones is always changing, and the strategy of where to put them to put your team at the best advantage also must be constantly adapted. Also, the science behind how the stones "curl" on the ice isn't completely understood, and I am just really intrigued by a sport whose underlying-science is so highly contested. Last edited by ~JCGJ~ on Mon Feb 19, 2018 8:27 pm, edited 2 times in total. That was a great post, JCGJ! I didn't really think about the differences between bowling and curling, but you really explained what makes curling different. I don't have time to watch the video now, but it sounds interesting. The debut of big air yesterday was cool. Always neat to see a new sport. This is insane though; a 10 story ramp! It will be Canada vs USA for the women's hockey gold, as expected. This has been the final matchup for all but one of the six years it's been in the Olympics, it's one of the greatest rivalries in anything. 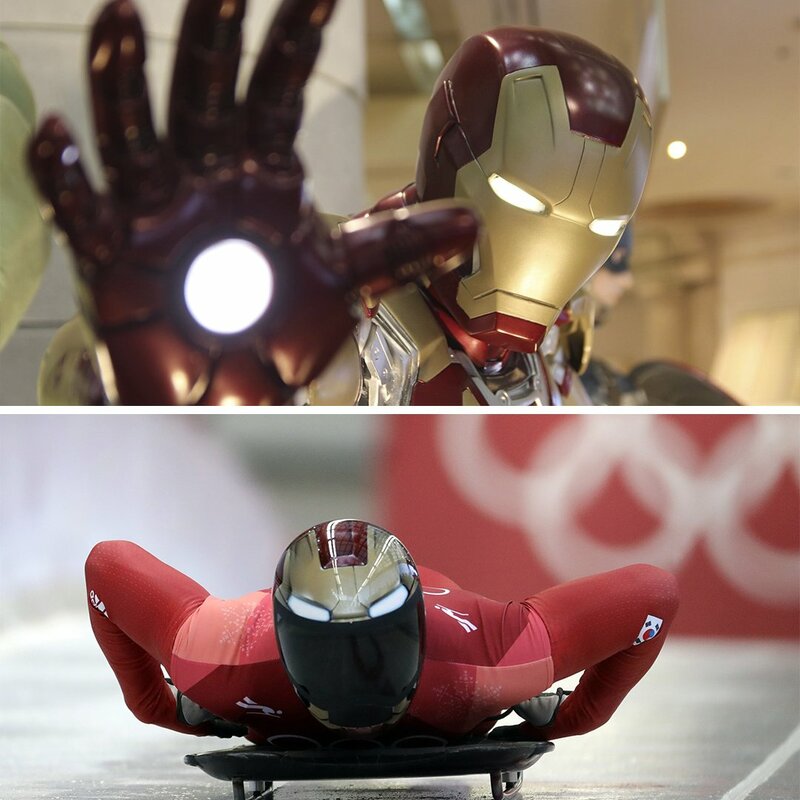 A tie for gold in two man bobsled!! How is that even possible?! They do total time over four runs and each is timed to the hundredths of a second! Just incredible! Great conclusion to a close ice dancing competition! Several really great performances, including the highest score ever recorded! Virtue and Moir win gold! The Shib Sibs win bronze!